Ethnic rhinoplasty and even male rhinoplasty fall under the category of traditional rhinoplasty, but offer challenges not common in the typical female, Caucasian rhinoplasty. As an African American who has performed hundreds of rhinoplasties on all ethnic groups, Dr. Kevin Smith understands the many nuances that may present with a rhinoplasty procedure. His more than 20 years of experience in ethnic rhinoplasty is renown in the Houston area. 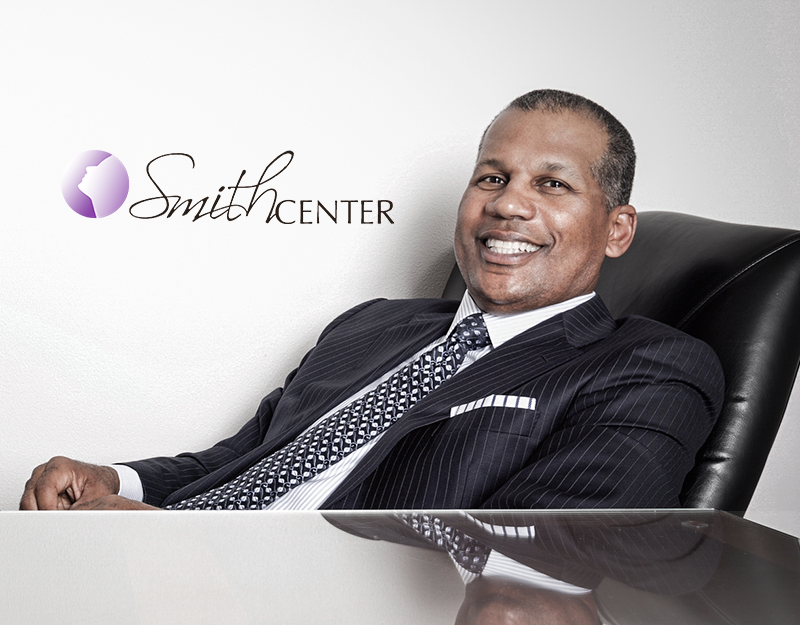 Dr. Smith opened Smith Center in 1996 and is highly regarded as one of the most respected facial plastic surgeons in the nation’s fourth largest city. As a former sports star at Carter High School in Dallas and a scholarship football player at University of Michigan, Dr. Smith understands how injuries can negatively effect the nose, aesthetically and functionally. When the nose is injured the nasal bones and the septum can be displaced causing breathing problems or headaches in addition to causing an external deformity. The appearance of the nose can be improved by addressing several areas- the dorsum or bridge, the nasal bones, the tip and the nostrils. Dr. Smith is the first Black American to complete an Otolaryngology (ENT) residency at the University of Texas Medical School in Houston. He was also the first Black American to be selected and to have completed a Facial Plastic Surgery Fellowship at the McCollough Plastic Surgery Clinic in Birmingham, Alabama. Dr. Smith is certified by both the American Board of Facial Plastic and Reconstructive Surgery and the American Board of Otolaryngology Head and Neck Surgery. He performs rhinoplasty on all ethnicities, including African American, Asian, Hispanic, and Middle Eastern in addition to Caucasian. During the consultation Dr. Smith carefully listens to your concerns and thoroughly discusses your options. He explains realistic expectations and goals. Just like every person is different, every patient presents different challenges and opportunities. Houston has become one of the most diverse cities in the nation. Smith Center embraces the opportunity to assist every ethnic patient achieve their optimum result. African American – Generally, the African American nose is sometimes flat with rounded features. Patients may desire a nose that is more defined and lifted. Dr. Smith utilizes a closed incision surgical approach and innovative techniques to reshape the bone-cartilage framework. Since African American skin is typically thicker, Dr. Smith may debulk it to allow better draping over the newly created foundation. The nostrils can be narrowed to provide harmony for overall facial balance. Asian – The typical presentation of the Asian nose is one that generally has a low bridge, round tip and wide nostrils. Dr. Smith employs creativity with his tried and true rhinoplasty methods to ensure the result is a more refined nose complimenting the features of the face. Middle Eastern – People of Middle Eastern descent usually have long noses with a prominent dorsal hump, narrow nostrils and nasal bones. A deprojection or shortening of the nasal tip is typically conducted and the hump is scaled down with removal of part of the nasal bones and cartilage. Dr. Smith is able to straighten the nose and create a narrower tip if desired creating a more elegant profile. Hispanic – The Hispanic nose usually has a dorsal hump and a wide tip. Dr. Smith’s customized solution is to reduce the hump, narrow the tip or anything else required to provide a nose that is in balance with the face. The recovery timeline for all rhinoplasty surgery, not just ethnic rhinoplasty, depends upon the extent of the procedure. Dr. Smith prefers to make all the incisions inside the nose where they are hidden with the exception of narrowing the nostrils where the incisions are hidden in the crease between the nostril and the cheek. The usual operative time to complete a rhinoplasty is 1-2 hours. Afterward a splint is placed on the nose to hold the delicate structures in place and removed a week later. Soothing cold compresses should be placed on the eyes and cheeks to reduce swelling. The majority of the swelling resolves in 4-6 weeks revealing your new look. The nose will continue to refine itself up to a year. Surprisingly this procedure has relatively little pain and bruising. Dr. Smith describes it better as discomfort because most of his patients take their prescribed pain medicine for only 1-2 days then take over-the-counter medicine as needed thereafter. Patients will be able to resume normal activity within seven to ten days, but anything strenuous, such as exercise, should be avoided until three weeks after the surgery. The goal is to keep the bones very stable as they continue to heal and reveal your new look.